Nikita as a series has an interesting back-story. It is a show, based off another show, which was based off a movie, which was based off ANOTHER movie. Nikita-ception and a half going on here. 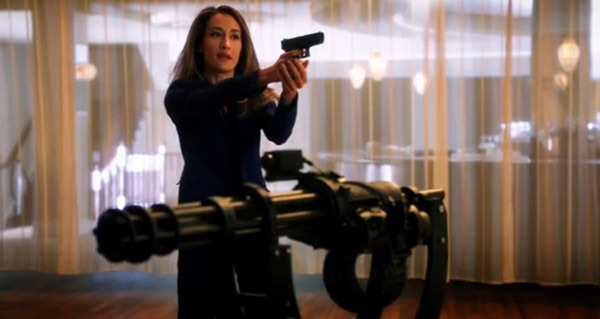 The latest iteration by Warner Bros and the CW Network stars Maggie Q in the titular roll, and has her breaking free of the spy agency known as Division, who captured and trained her from a young age. 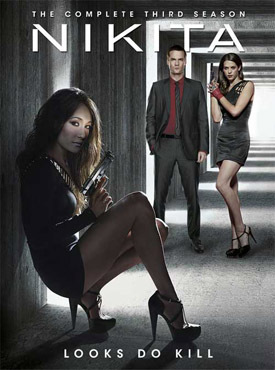 Season 3 takes place after Nikita and her friends have managed to overthrow the old Division and tasks the “New Division” with tracking down rogue agents and bringing them in. The show has all the elements of an awesome spy drama, but is sometimes held back by its reliance on overdone tropes and some stiff performances. Nikita’s third season marks a big change of direction for the series. 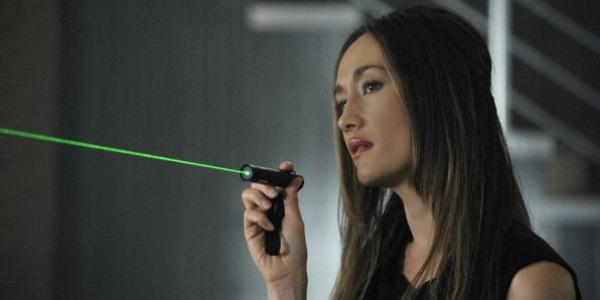 Previously, Nikita (Maggie Q) was striving to overthrow the terrifying and controlling intelligence agency – Division. Now, after their successful coup at the climax of the second season, Nikita and her colleagues are leading a new Division into the future – by first rounding up and bringing in rogue agents (known as the Dirty Thirty) who refuse to acknowledge the change in management. The change in direction for the show makes it relatively easy for new viewers to jump on board. The show’s past is presented in such a way that anyone who was not familiar with the agency or its employees would be able to piece the entire backstory together like an old mystery novel. Moments of “oh so THAT’S what they were up to…” or “Oh so that’s what she meant by that last episode,” are plentiful. While the story is overall friendly to newcomers, there are some areas that do rely heavily on past watching. Most of these revolve around emotional attachments between the characters. 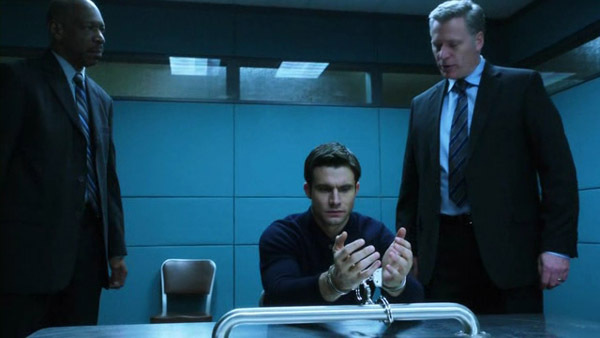 Michael’s (Shane West) proposal to Nikita at the climax of the first episode has a lot more impact if you are previously acquainted with everyone involved. The series initially plays off like one of those “killer of the week,” cop serials that have become popular on television, with the agents tracking down and attempting to apprehend a different member of the Dirty Thirty every week. These episodes are good, but really feel uninspired – especially compared to the latter half of the series. Since Nikita is such a different show than it was during seasons 1 and 2, a lot of characters have formed new bonds or grown apart. Nikita and Alex’s relationship has developed further to the point that they are almost sisters (and again, parts of their history are easy for newcomers to pick up on), while previous series regular; Amanda Collins (played by Melinda Clark) has turned into the primary antagonist. She orchestrates a series of escalating trials to punish Division, and especially Nikita and Alex whom she believe have betrayed her. The later part of the series revolves around Nikita’s trying to do right no matter the cost. It ends up costing her dearly as Michael is caught in an unimaginable accident, which makes him unable to continue on as a field agent, and sends him spiralling downwards into depression. When a cure to his injury is made available, it ends up being a trap and Nikita is forced to make the hardest choice of her life. Many of the episodes are gripping and have you drawn into the show. 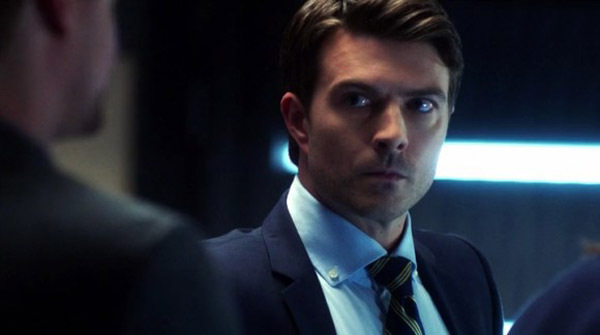 You see Division’s new leader Ryan (Noah Bean) struggle with the burden of running the agency and relying on the trust and support of his team, and the conflict caused by him needing to keep secrets in order to protect them. This comes to a head in episode 5, where the President has threatened to kill all members of Division should the agency’s identity become known. The series overall is good, but sometimes slips into often seen tropes of the genre. Nikita having to choose between her life, and the life of her fiancé at the end of the series punctuates this nicely. However when the show isn’t relying on spy movie tropes, it delivers some awesome and gripping television. Easily the most profound episode is actually the second episode. A young girl is kidnapped by a member of the Dirty Thirty and brainwashed into being a killer. Alex and Nikita both resonate strongly with this, having been caught in almost identical situations themselves. It offers some heartbreaking moments as well as some deep emotional growth between the two leading ladies and is one of those television episodes that you can watch over and over again. Visually, Nikita is breathtaking (no, I’m not just commenting on the actress Maggie Q). The set pieces are all amazingly designed, and whether it is the inside of Division, the Oval Office or even in the middle of Hong Kong, it all looks great. The crispness and sharpness really comes across on Blu Ray as well, and stands as proof of what the medium can do even in films or TV shows that don’t rely heavily on CGI. The series’ soundtrack is very subdued and often you wont even notice that music is playing. It does however go a long way to set the tone of the scenes, especially those that are action-heavy. I am always a fan of music that you don’t immediately know is playing, and Nikita really pulls this off perfectly. Some of the actor’s performances can oftentimes come off a little stiff and woody. It is so frequent that I found myself wondering if it was the fault of the cast or if it was intentional to portray their stoic, tough-guy/gal attitudes. Lyndsy Fonseca probably provides the show’s best performances, able to perfectly depict both strong, powerful side of Alex, along with the emotional and sometimes frightened, all the while remaining relatable and likeable. Nikita Season 3 is a little light on the extra features, including only deleted scenes and a gag reel. As is expected, the deleted scenes are a mixed bunch, with some being great little snippets at some areas of the show that we otherwise wouldn’t have gotten to see, while some others are a little light on any content and you can see why they were cut. The gag reel on the otherhand is a lot of fun. It is hilarious to see these actors and actresses trying their hardest to remain stoic and serious, then screwing up and bursting out with laughter. While the deleted scenes and gag reel are fun, I would have liked to see a little bit more included on the disc. Since this is such a drastic leap forward for the series, some sort of short-recap wouldn’t have gone astray. 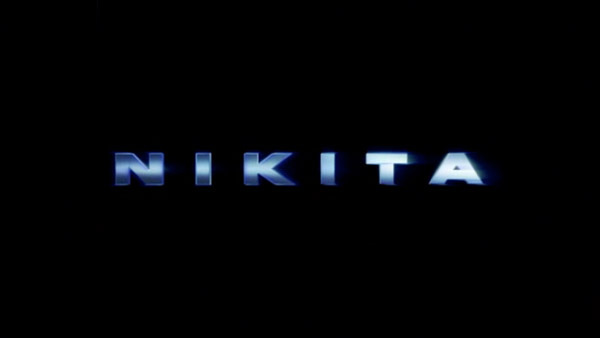 Nikita suffers from a few problems, namely reliance on old spy-movie cliches and some stiff acting by some of the cast members. However, it is an awesome show despite all of this, and it is easy to see how it has become such a cult classic in its three short years on television. Season 3 was a big turning point for the show, and the way it is presented means that newcomers wont necessarily feel ostracised, while still maintaining the pace and tone that long-time viewers have come to expect. Its amazing visuals are a testament to how the Blu Ray medium can make everything look better no matter how much (or little) CGI is used. Nikita can quickly become a guilty pleasure, where you just have to keep watching to see what happens next, and whether or not the next member of the Dirty Thirty will be brought in.